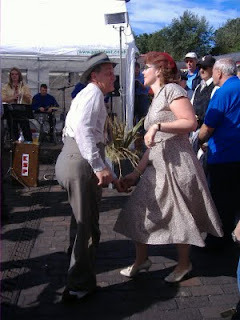 Here we are at the 1940's weekend event at Sheringham Station. 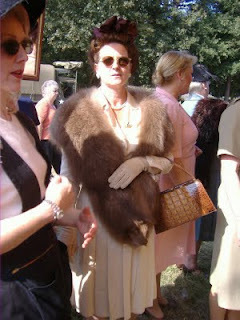 It was a fabulous weekend and there were so many people looking wonderfully glamourous. 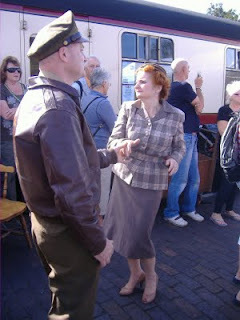 Lots of vintage frocks and fur and if you love a man in uniform there were plently go round!! This is me and my lovely hubby in his American Army Airforce Uniform and I am wearing a vintage 40's suit, my grandmother's fur and the cutest hat I found at one of the stalls at the event. Just a few of the folks who looked so glamourous at the weekend.